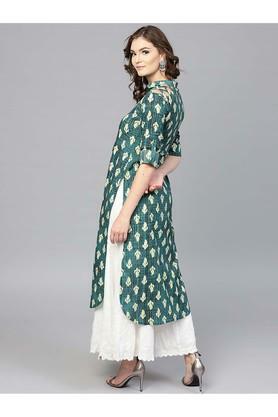 Modern style meets a regal flair in this kurta from the house of Gerua. It has been crafted with care using a premium quality cotton fabric so as to keep you at ease all through the day. 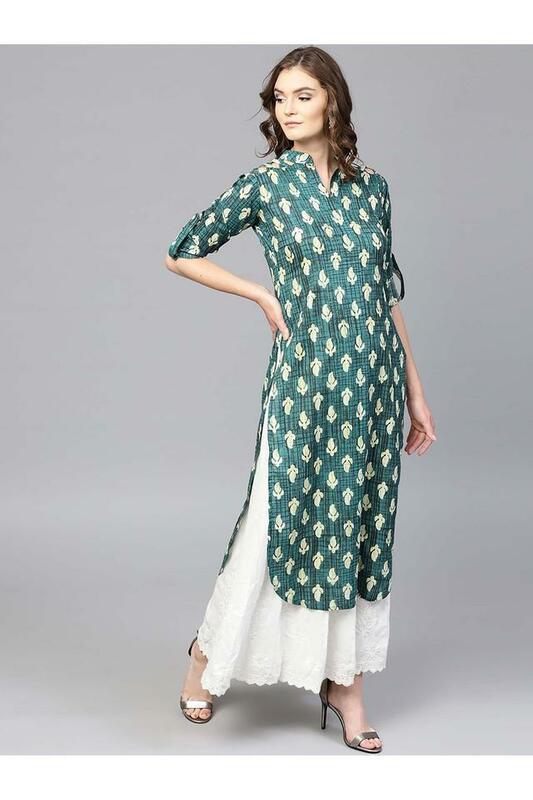 Besides, it comes in a printed pattern, while the mandarin neck further adds to its overall look.